11.819 trade visitors and 333 exhibitors from 28 countries. Over a period of four days, the trade fair presented the entire spectrum of modern natural stone processing, from traditional natural stone and innovative materials through machinery, tools, chemical care products and cleaners to gravestones and religious masonry. The special shows and events included in the supporting programme were very popular with visitors. Take a look at the highlights of Stone+tec 2015 and be there again in 2018 ! "Stone+tec is exactly the kind of trade fair that we need in the sector at the moment. Practical and contemporary product ranges are complemented by topics that really matter to stonemasons and stone processors, including sustainability, regional focus and the latest technology." 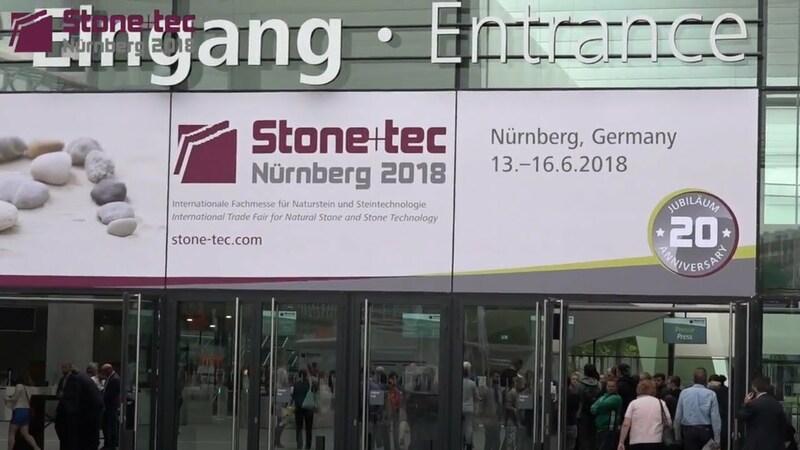 "We are delighted about the positive mood at this year's Stone+tec and note that the new features in the trade fair concept have been popular. The supporting programme in the forum was very well attended, which shows that we are covering the right kinds of issues. Through the opportunities to acquire knowledge, clarify problems and get talking, the new Stone+tec is living up to its role as the gathering place for the industry and is on the right track for the time ahead. With an eye to the future I am particularly delighted about the results of the young talent competition." Would you like to know more about Stone+tec?